Our company is ranked among well-known Manufacturers, Exporters & Suppliers of a wide range of Semi-Automatic Gravity Roller Conveyors. We manufacture them with the help of ultramodern CAD/ CAM technologies. Hence, our entire range is robust, excellently finished, dimensionally accurate and renders long service. 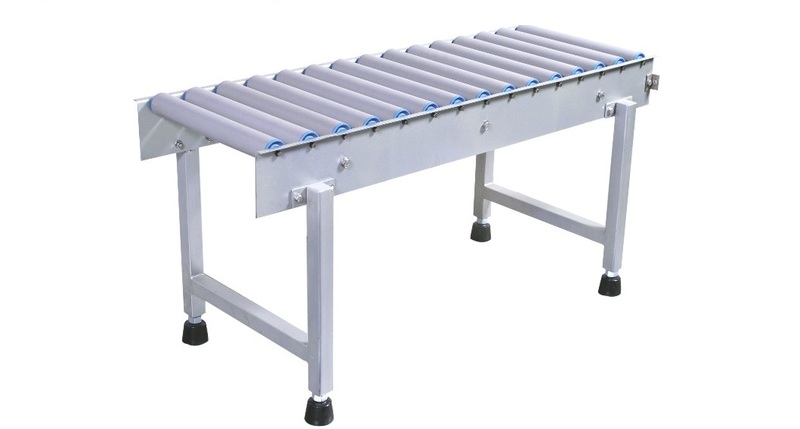 Interested buyers can purchase Semi-Automatic Gravity Roller Conveyors from us at competitive prices and we guarantee timely delivery. Application : Conveying / transferring of empty / Filled cartons / Crates / Boxes in the packing line.